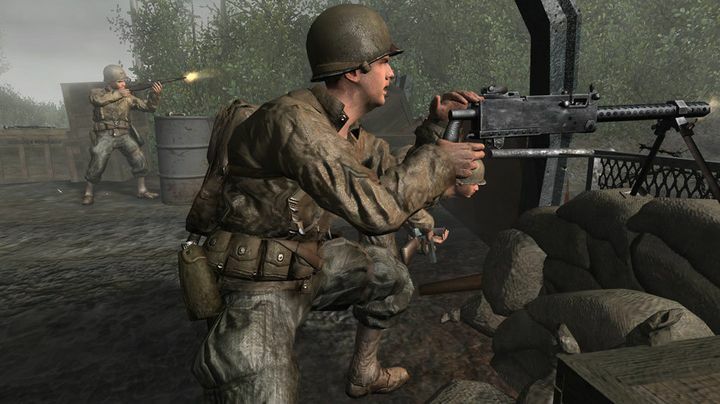 It is likely that many Call of Duty players miss the old World War 2 setting seen in the original Call of Duty game back in 2003 and its sequels. That’s where the series began after all, even if Activision’s world-conquering franchise has been heading further into sci-fi territory with each new instalment since Modern Warfare debuted in 2007. And last year’s Call of Duty: Infinite Warfare was the culmination of this, with the game going full sci-fi and looking more like a Halo clone than the traditional Call of Duty game we’ve been getting year after year. Actually, many players disliked Infinite Warfare, giving the game’s announcement trailer a record number of “dislikes” on YouTube, while the game did not sell quite as well as the earlier Call of Duty: Black Ops III did. Also, Activision couldn’t have noticed how well received DICE’s Battlefield 1 was, a game that took players to the early 20th century and World War I, and was widely celebrated because of this. So it makes sense that Activision will be looking to deliver a game that pleases the fans this year, with the company having said earlier that the next Call of Duty will take the series “back to its roots”. And it appears this will indeed be the case, as a recent report by Eurogamer reveals that the game will highly likely be titled “Call of Duty: WW2”. Actually, box art and logos for the new game have been doing the rounds on YouTube already, while we already know that Sledgehammer Games is developing this upcoming Call of Duty instalment. This is the team behind 2014’s pretty good Call of Duty: Advanced Warfare, and clearly the prospect of a World War 2 Call of Duty game with modern graphics and gameplay will be a mouth-watering prospect for any Call of Duty fan. So here’s hoping that this upcoming Call of Duty game is indeed set during World War 2, and that it delivers the kind of experience that made players worldwide fall in love with the series in the first place.